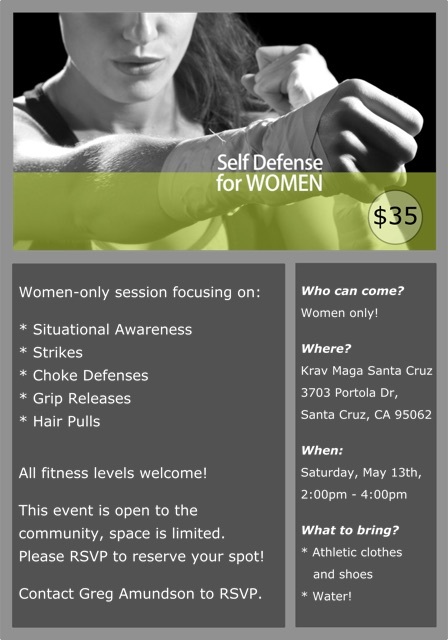 Space is still available in the Krav Maga Women’s Self Defense Seminar. Please arrive at 1:45PM for registration. Olympic Lifting Class is Cancelled Today.